Everyone is talking about UBER. 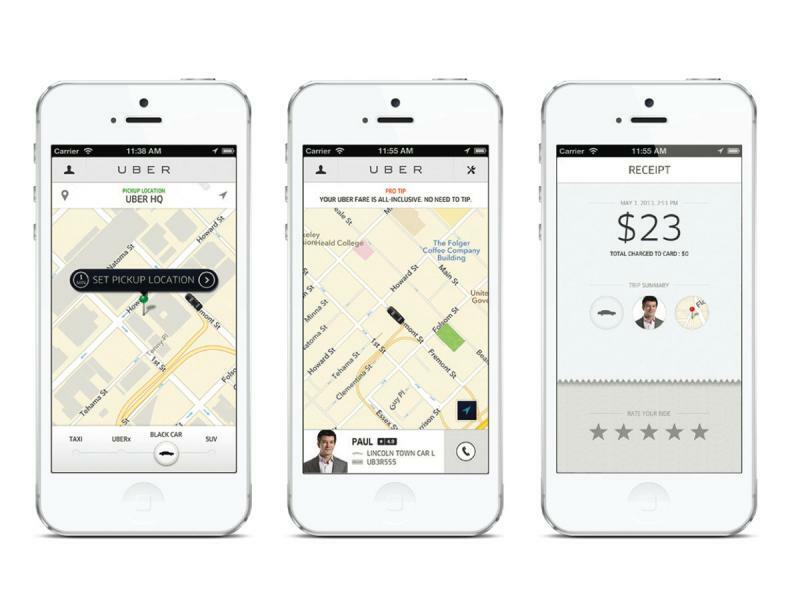 There are now sites dedicated to “The UBER for X“. It is a popular analogy for presenters and bloggers because it epitomised modern technological disruption. UBER is a great example of how questioning the status quo and connecting dots between existing ideas can have such significant global impact in just a year or two. A similar thing is happening with telephone operators v.s SIRI type technology. But for me, it’s the next chapter that most interests me: The death of the UBER career. This article discusses how many of the major car companies, alongside Google and UBER (that’s quite a team!) are lobbying the U.S, government to ensure their driverless cars (it’s not just Google who are making them) can cross state borders and be recognised as ‘legal drivers’. Given the safety, cost-saving and productivity gains offered by driverless cars, I think most people will be surprised at how quickly they embed into society in the developed world. 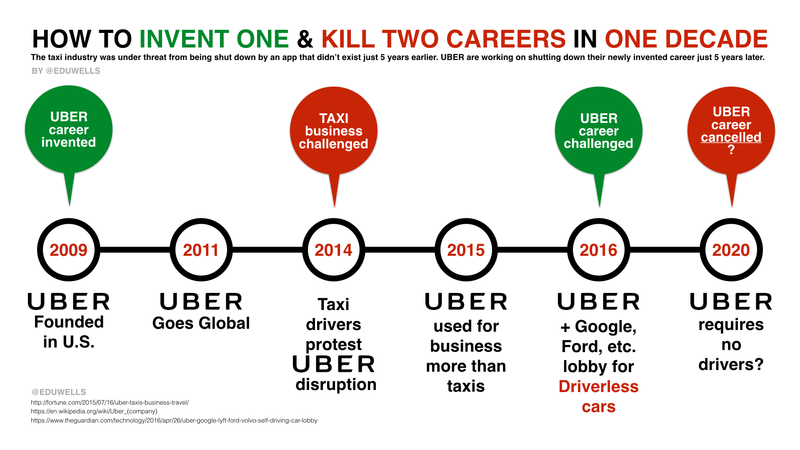 The UBER story is more about entire new industries being born and dying in the same decade, than it is about the death of old industries. The speed of change is getting faster and this is a new norm that schools must be aware of when discussing their purpose for existing. How quickly people can learn new knowledge and skills is far more important now than any particular knowledge or skill. This needs to have a huge impact on what gets practiced and emphasised in classrooms around the world. The most expensive thing in any industry is it’s people. Most companies are working hard to remove the requirement for employing people. Amazon already have robot organised factories passing products automatically to drones for delivery! Losing your job because it’s cancelled all together is now so common, the U.S has introduce new employment insurance products to help people out. What does this mean for the classroom? What should I be working on? Practicing these questions and improving one’s collaborative productivity is going to be key to surviving the 21st century job market. This will help people continue to remain employable as well as up-skilling them for developing their own careers and businesses in a market where that itself might become a necessity. This does mean that if students in a classroom are currently reliant on a teacher for what to do and how to do it, they’re in big trouble!